Koz will be featured in a show with singer/songwriter Barry Manilow at Erie Insurance Arena on Monday, April 25 at 7:30 p.m. Tickets $20 and up. Call 1-800-295-55354. The result? A phenomenon in today’s pop world – an instrumentalist. Koz notes that “back in ‘30’s and ‘40’s instrumentalists like Duke Ellington and Benny Goodman held center stage and singers were off to the side.” ( Ed.’s note: This was before his time – Koz was born in 1963 -- but I’m old enough to remember, and he’s right.) Times have changed. Now the singers/ rappers/hip-hop D.J.s are at the center of all things pop. But Koz’ track record belies this current norm. Per his website, in the 25 years since his debut album, Koz has had nine Grammy nominations. And nine albums topped Billboard’s “Current Contemporary Jazz” sales charts (“At The Movies” remained #1 for 12 weeks). 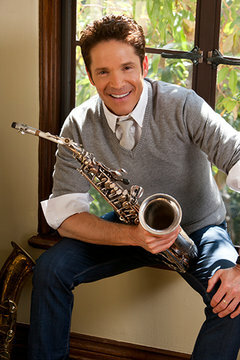 He has a star on the Hollywood “Walk Of Fame,” plays world tours with his band, has led a number of “Dave Koz Cruise” expeditions (the next one, in 2017, to Italy, Greece and other Mediterranean ports, is already sold out), has completed 21 years as a syndicated radio show host, and more. He’s a busy guy. Oh yes, and he owns Koz Winery and is a key backer of Starlight Childen’s Foundation. What’s it like working with Barry Manilow? “I’ve known and worked with Barry for a number of years, so it’s very comfortable. What people don’t realize about Barry is what a great an all-around musician he is. He’s a great arranger and is very involved in all aspects of the show. He’s never satisfied until the project is fully realized. “For me, getting a chance to be the opening act for his show with my band (Dave Cooper – drums, Tracy Carlton – keyboards, Adam Hawley – guitar, Nathaniel Kearney, Jr. – bass) , is something I haven’t done for awhile, because I’ve been touring with my own show. “Many people come because of Barry, and have never heard of me. So I have 30 minutes to make my case, and I try to approach it with laserlike precision. It’s an exciting challenge. The current Collaborations album features a more than impressive list of contemporary pop artists who either recorded new material for the album with Koz, or are featured in past recordings with Koz which are included on the disc. Try this on for size and scope: Stevie Wonder, Erie Benet, Gloria Estefan, Marcus Miller, Jeff Lorber, Rod Stewart, Brian Culbertson and Keb’ Mo’, Barry Manilow, Luther Vandross, Herb Alpert, Stevie Nicks, Jeff Lorber, Boney James, Johnny Mathis, David Benoit, Michael McDonald and Summer Horns, and more. 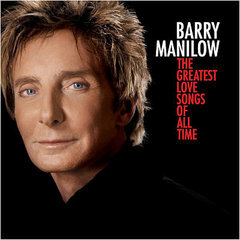 Enjoy this melodist with another great song specialist, Barry Manilow, at the Erie Insurance Arena on Monday, April 25, 7:30 p.m. Tickets online at barry-manilow.tickets-center.com/ or call 1-800-295-5354.